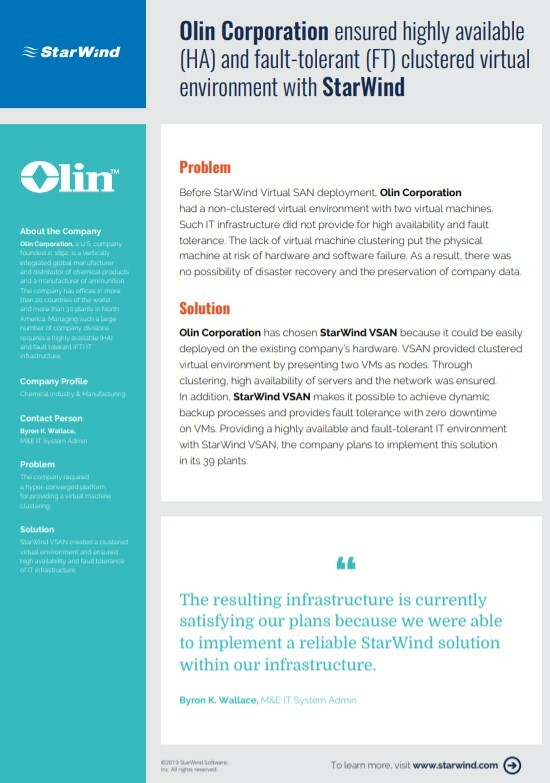 Continue reading "Symmetry Software improved their backup environment without changing the existing infrastructure and additional costs with StarWind Virtual Tape Library"
Find out from this success story how StarWind enabled Olin Corporation, a U.S. company specializing in chemical production and manufacturing, to create a clustered virtual environment and ensure high availability and fault tolerance of IT infrastructure. Cygnus, Inc., a U.S. company operating in the field of aerospace sheet metal fabrication, experienced a server failure. Their data recovery (DR) solution was in place and worked well. Still, the long system restoring was unacceptable. 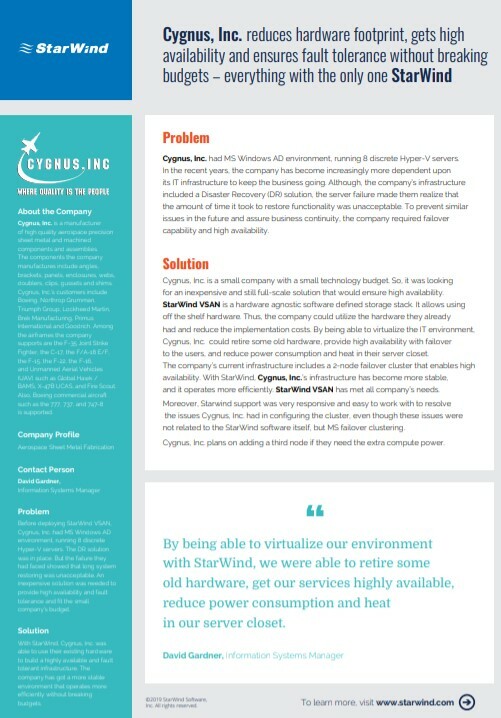 Learn from this case study how Cygnus, Inc. achieves full-scale high availability for a small budget with StarWind. Jaco IT-Solutions, a Belgian ICT solutions provider, had non-redundant single physical server solutions. The entire infrastructure was compromised with a single point of failure. 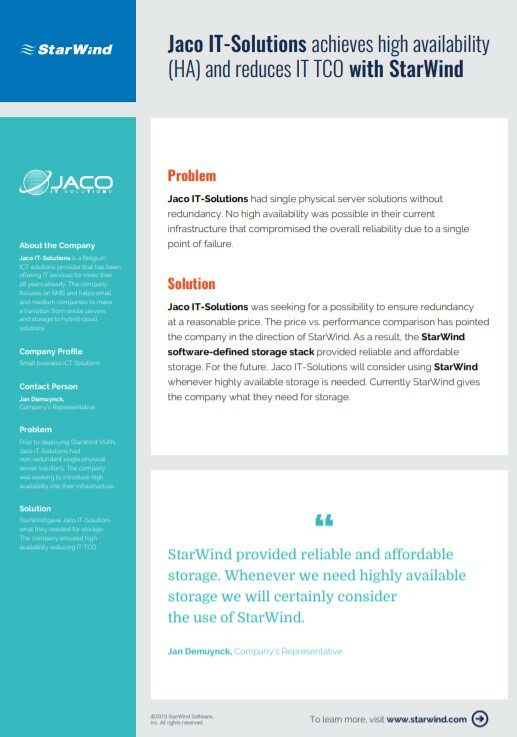 Find out how Jaco IT-Solutions achieves high availability (HA) reducing IT TCO with StarWind. 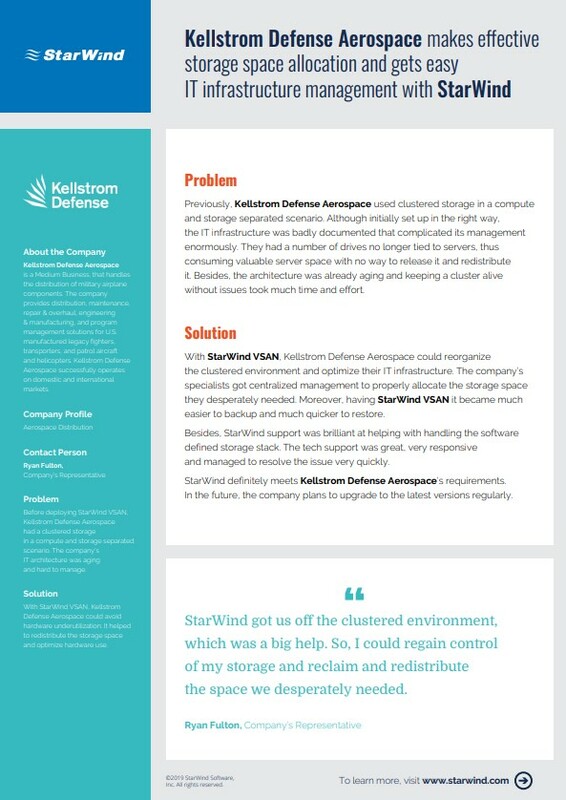 Kellstrom Defense Aerospace, a U.S. 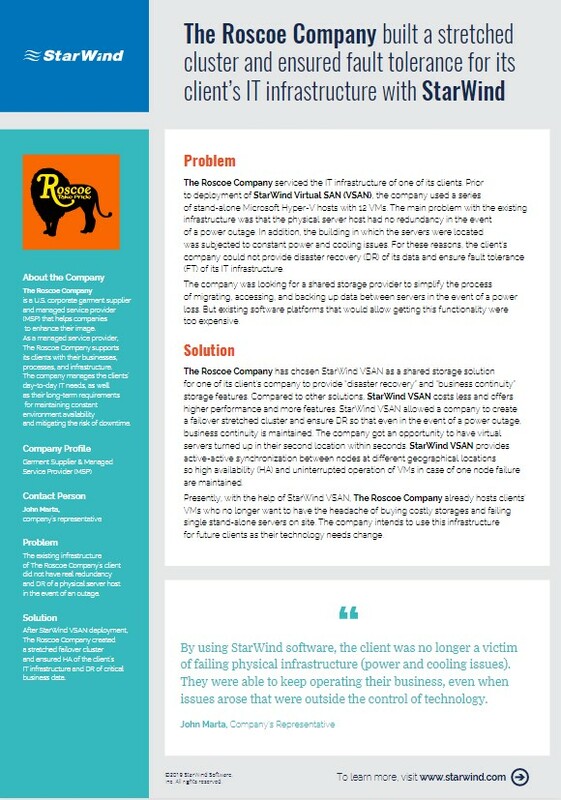 Medium Business that deals with aerospace distribution, had an aging architecture following a compute and storage separated scenario. The clustered storage did not allow the company to distribute the storage space efficiently. 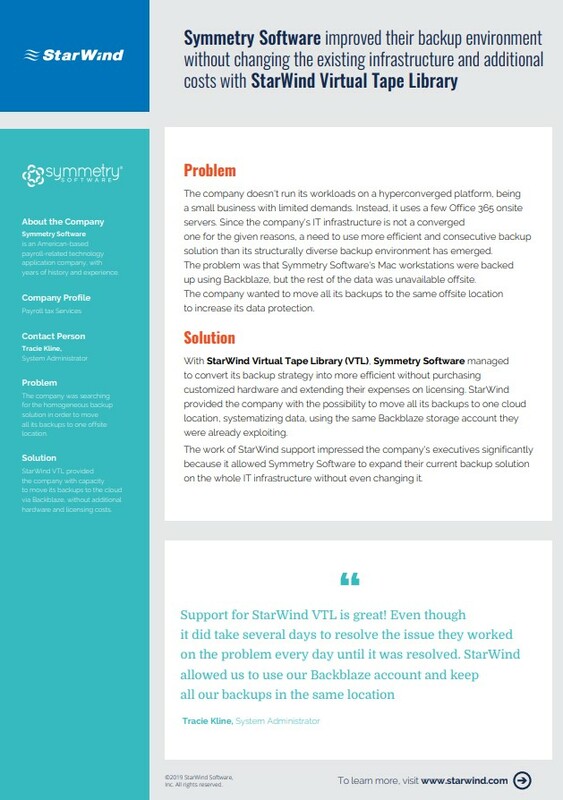 Learn from this success story how StarWind helped to upgrade the company’s infrastructure for more efficient storage use.